GAMA Electronics, Inc. is a U.S. manufacturer of electronic and electromechanical controls. We are a full service supplier; we design what we produce. We take our customers concepts through the design and production phases and provide functional, tested products. 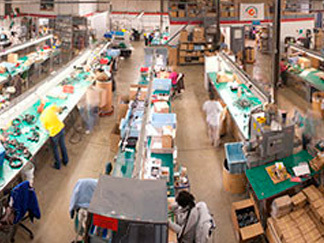 Most of our products are produced in our Woodstock, Illinois facility. Acknowledging the realities of the global economy, we have developed business partnerships with top Asian manufacturers. 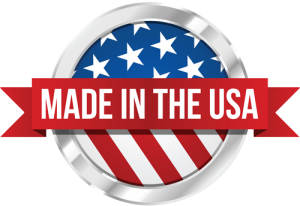 These alliances allow us to stay competitive and still manufacture in the U.S.
Our products are produced in our Woodstock, Illinois facilities. Our facilities are set up to process both thru-hole and surface mount circuit board assemblies, mechanical assembly, wire harnessing and packaging. Production rates vary from low volume products to high volume sustained production runs. We utilize factory automation equipment as well as manual assembly techniques to provide a wide variety of mechanical assemblies. Examples of typical assemblies include remote controls systems, waterproof controls, motor controls, automotive and motorcycle accessories, timers, control panels, USB and 120V power management systems and industrial control boxes. We are a company focused on research and development. Our engineers and designers are always taking on new assignments. If you have an electronics development project, we are eager to take on any challenge. The complexity of our products varies from simple switching assemblies to sophisticated microprocessor based control systems. 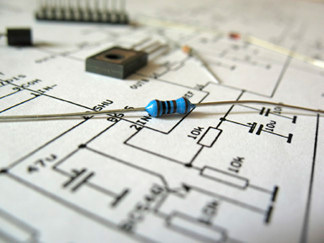 Our electrical design and test engineers are experienced in all of these product areas. We offer complete circuit and P.C board design as well as software design. Our mechanical design team can assist with packaging your electronic system. This includes sheet metal, injection molded plastic, graphical overlay and control panel design. Our in-house prototyping capabilities allow us to confirm the design prior to expending tooling costs.